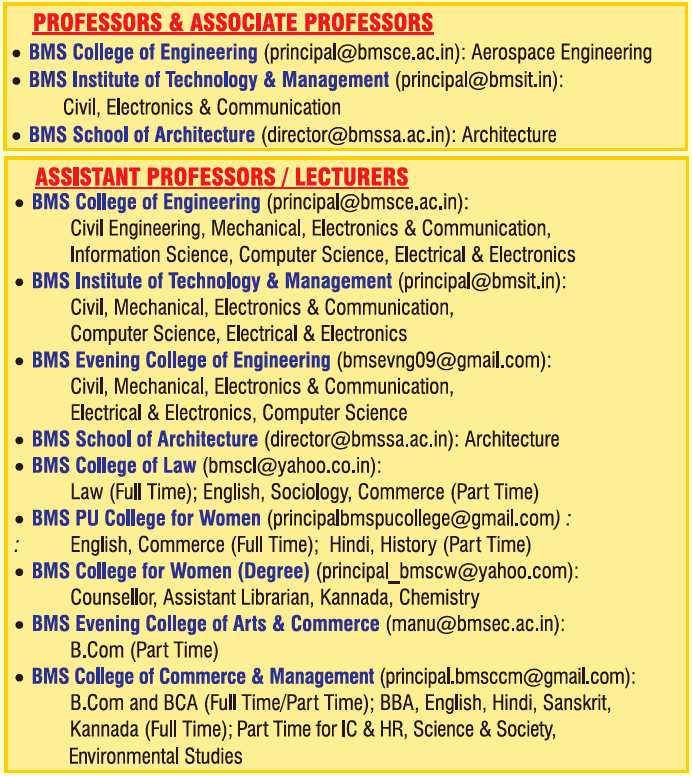 BMS Group of Institutions, Bangalore has advertised in THE TIMES OF INDIA newspaper for recruitment of Professor / Associate Professor / Assistant Professor / Lecturers jobs vacancies. Interested and eligible job aspirants are requested to apply on or before 04th February 2019. Check out further more details below. About College: B.M.S. College of Engineering is an autonomous engineering college in Basavangudi, Bangalore, India. The college, started in 1946 by B. M. Sreenivasaiah, was the first private sector initiative in technical education in India and is run by the BMS Educational Trust. How to Apply: Interested and eligible candidates are requested to send application in prescribed format downloaded from college website and send filled-in form with copies of certificates and recent passport size photo to the postal address and also respective college email address provided below. 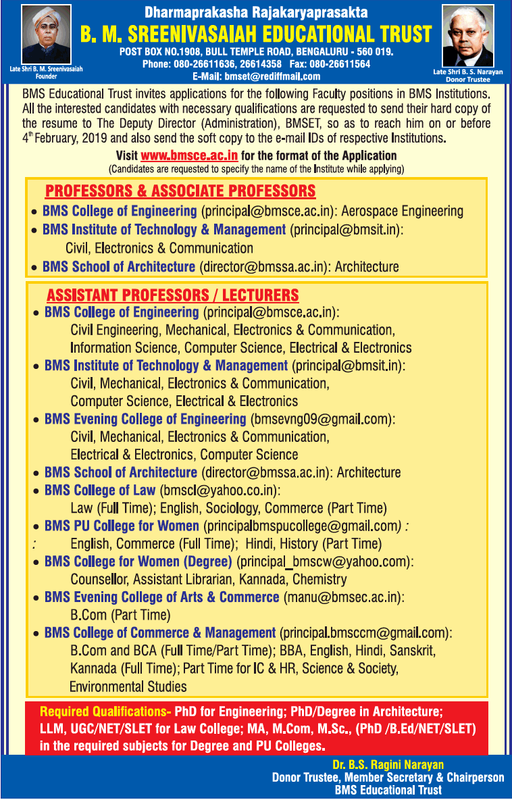 Please mention the name of the institute while applying in hard copy.